HCM Strategists today announced the first recipients of the Federal Financial Aid Advocacy (FFAA) Fund, which is supported by a grant from the Bill & Melinda Gates Foundation. The three organizations—Campaign for College Opportunity, National College Access Network and Thurgood Marshall College Fund—were selected from a competitive group of 17 applicants and will receive a collective total of $492,300 for their respective projects. Campaign for College Opportunity ($180,000): Campaign for College Opportunity (Campaign) is a California-based alliance of civil rights, business and education leaders, which works to ensure all Californians have an equal opportunity to attend and succeed in college. For its FFAA Fund project, the Campaign formed a consortium with the Los Angeles Area Chamber of Commerce and Southern California College Access Network. The Campaign and its partners will advocate for streamlining the Free Application for Federal Student Aid (FAFSA) and consolidating federal financial aid programs by targeting federal policymakers representing California, leaders from various industries and students. National College Access Network ($132,300): The National College Access Network (NCAN) works to overcome barriers that underrepresented students face on their path to postsecondary credentials. 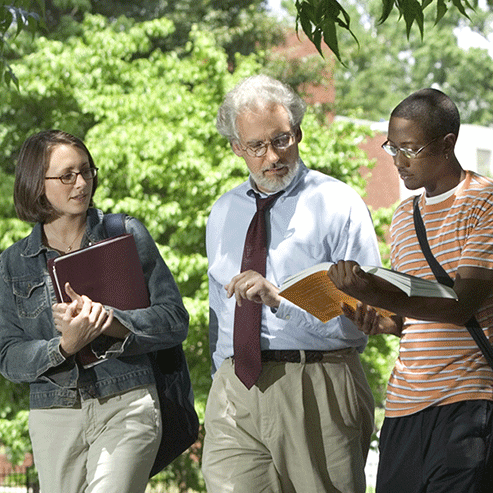 For its FFAA Fund project, NCAN formed a consortium with Scholarship America and the National Campus Leadership Council and will implement a series of tactics designed to support advocacy for federal student aid simplification, including the development of a New Voices Coalition and Advocacy Institute. Thurgood Marshall College Fund ($180,000): Thurgood Marshall College Fund (TMCF) is the only organization that supports the nation’s Historically Black Colleges and Universities (HBCUs). Through its #INTHEBLACK Financial Aid Advocacy Campaign, TMCF will amplify ideas around loan repayment and financial responsibility, while educating and activating the HBCU community, targeted members of Congress and TMCF corporate partners. The FFAA Fund will give a total of $1 million in short-term grants this year (up to $200,000 each); more than $500,000 is still available for appropriate advocacy projects. The FFAA Fund is now accepting additional applications until June 24, 2016. Interested applicants are invited to join one of three informational webinars taking place in late May and early June that will focus on how to conduct effective advocacy. More information about the FFAA Fund, its application process, funded projects and the informational webinars is available at: http://hcmstrategists.com/ffaafund. For further information about the FFAA Fund program, please contact FFAAFund@hcmstrategists.com.